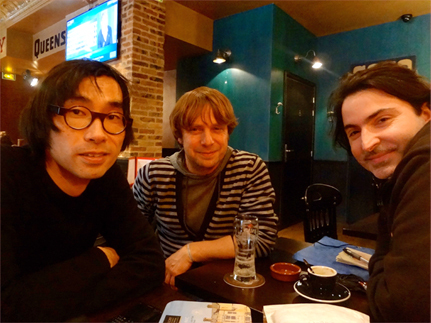 I had a brief meeting with Denis(centre) and Rodolphe (right)for the first time while I was in Paris. Denis is the owner/promoter at Le Pop-in. Rodolphe is a devoted O-ARC fan who we have known him for a year. He liaised between Denis and O-ARC. Without him we couldn’t get an opportunity to play in Paris in May. Huge THANKS to him! We will be shooting a little bonus film for Japan tonight at Neil’s house. It will be for fans who buy “en” album in shops in Japan and we will be playing acoustic version of one of the songs from the same album. My throat is a bit sore but will take a few drops and should be ok.
By the way we have a gig coming up soon! Our first gig in Paris is confirmed. 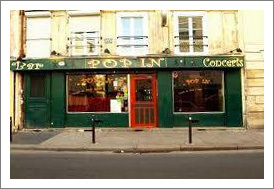 We are extremely delighted to announce that a date at Le Pop-in has been confirmed. It’s Tuesday 28th of May. It will be our first Paris gig and it is also our first outside London gig (except Masa’s solo gigs in Japan). So we simply can’t wait. We will update whenever new information comes in. The gig at The Islington last night went well and we really enjoyed it. Thanks so much for your support. Your support means a lot to us. 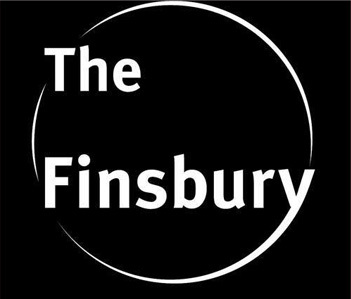 Hope to see you at our next gig at The Finsbury on 12th March. It has been really cold in London lately but hope you are well. Neil and I tried a new song IN WHITE at a previous The Dublin Castle gig and we were quite happy for the outcome. Now we are confident about developing this song and are excited to show the further development at our next gig on 22nd February at The Islington. 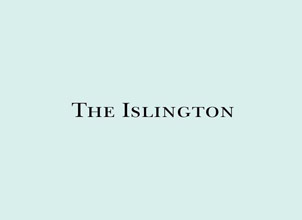 The Islington is a beautiful Late Bar & Cafe and a Hidden Gem in Angel. We will be on 9pm and there will be few more acts. It will be fantastic if you can make this one!